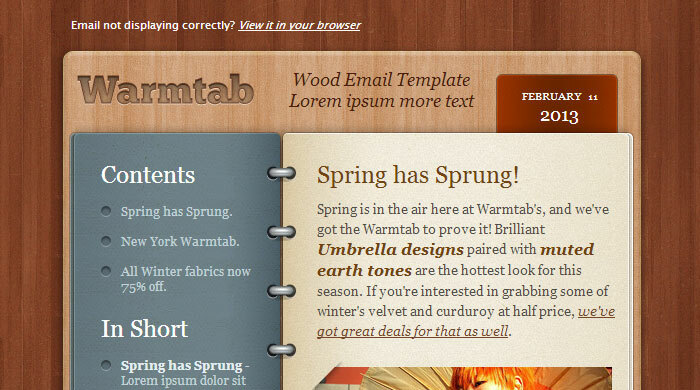 A warm and impressive professional html email template for your marketing needs. 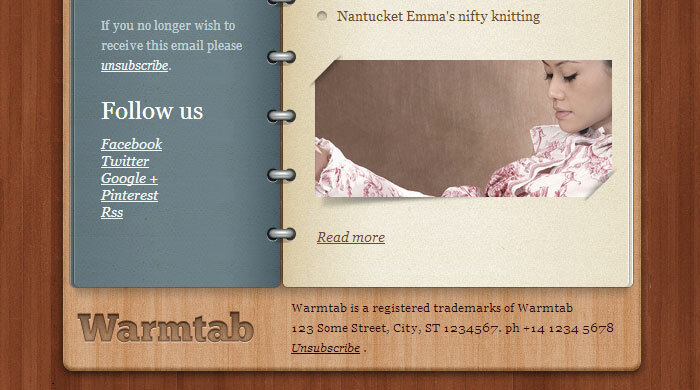 Our Warmtab email html newsletter template is a visually striking professional newsletter, ideal to present your latest news. The newsletter comes with its fully layered PSD file with smart layers for specific effects, so that you can edit the graphics and adapt the email template to your needs. The different sections and blocks of the email table layout are well commented and indented to allow you to move and create content with ease. This newsletter has a left sidebar with main content 2 columns layout. 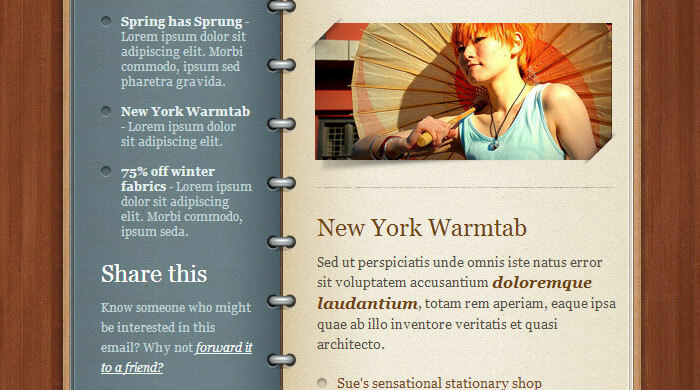 Styling for list item with bullets, image style, separator, and others are included. Compatible with major email clients. This newsletter will render well in the different email clients including Hotmail, Yahoo, Gmail and Outlook. Backup background colors are set-up for clients that do not support background images such as Hotmail.